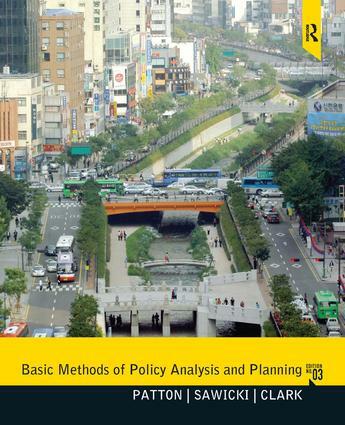 Updated in its 3rd edition, Basic Methods of Policy Analysis and Planning presents quickly applied methods for analyzing and resolving planning and policy issues at state, regional, and urban levels. Divided into two parts, Methods which presents quick methods in nine chapters and is organized around the steps in the policy analysis process, and Cases which presents seven policy cases, ranging in degree of complexity, the text provides readers with the resources they need for effective policy planning and analysis. Quantitative and qualitative methods are systematically combined to address policy dilemmas and urban planning problems. Readers and analysts utilizing this text gain comprehensive skills and background needed to impact public policy.